Click the button below to add the Stracciatella Chocolate Almonds to your wish list. Indulge in the exotic flavours of Italian gelato with these delectable chocolate almonds. 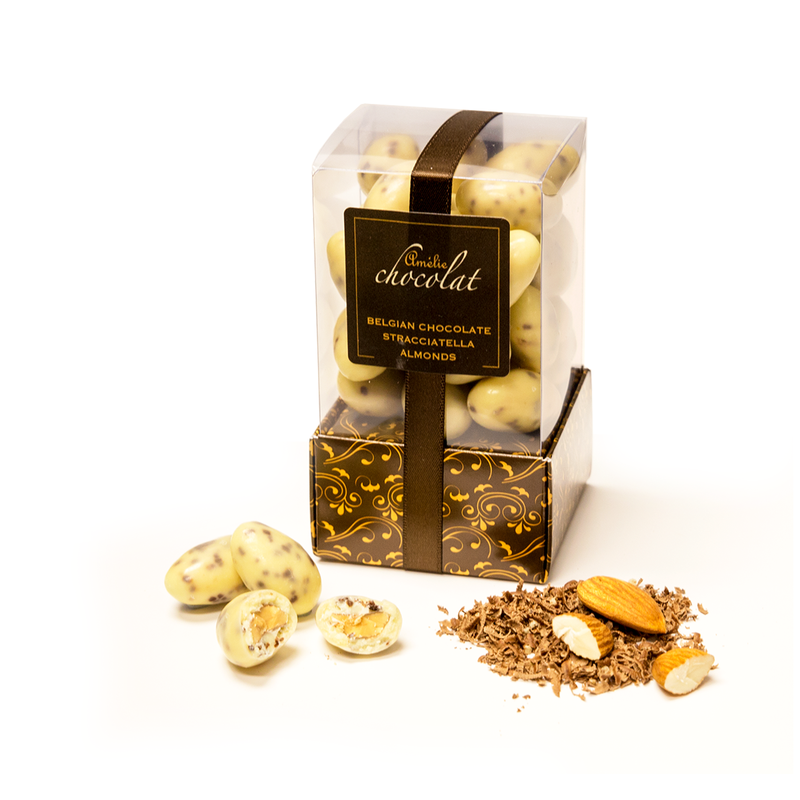 Creamy white Belgian chocolate, studded with shards of cocoa nibs enrobe delicious plump roasted almonds. Presented in our stunning new designer cube, these delicious Stracciatella flavoured chocolate almonds are a great contemporary gift with a difference.